You should make your financial planning effectively so that you can lead a very peaceful life ahead. This means you have to grow your wealth consistently and gradually. Financial planning comprehensively includes saving regularly, setting specific goals, protecting assets and investing your savings. Be aware of the common financial mistakes that can spoil a proper use of money. There are various life insurance and term insurance policies available in the market. However, before buying one, you should be aware of the financial mistakes that you should avoid. 1. Be aware of inflation. Market inflation is a common phenomenon. It is true that with time your income will increase, but you should also know that the value of money will decrease too due to inflation of the market. This happens because with the passage of time your expenses will increase too. This suggests that the price of goods and services will also increase. Due to this, many people have a tendency to invest in “safe” investments, such as, Bank FDs, saving accounts, government bonds. Know this that such a trend will yield you returns at very low rates than the market’s inflation rate. 2. You should know that every person has the objective to save and invest for their retirement. Therefore, you should consider making the correct valuation and even estimation of your health care along with other long term expenses. Since long term cost and health care expenses increase with age, it is highly important to include those expenses for an effective retirement planning. By doing this, you can have a steady earning even when you have no income during those years. The advice is to invest in life insurance and term insurance so that you can have your earning invested rightfully. 3. One of the major financial mistakes is not investing enough when you are young. Your initial years should be about focusing upon making the right savings. Your rate of savings should be more than your rate of returns. How can you make savings? It can be done by controlling your daily expenditure and also by making sure that you are making your expenses towards tax properly. Also, with time in hand, you should invest in life insurance or term insurance plans. 4. Yet again, investing too conservatively or too aggressively can also take a toll in the long run. Being very conservative can actually lead to loss in your value of your money. Don’t just block your money in a bank, but diversify your money across various investment options. 5. Make financial investing planning with consultation of a financial advisor. Most people do not do so, and so they tend to invest their money in the wrong places. Also, financial planning is not all about investing, but also making plans on day-to-day budgeting, viable life insurance and term insurance coverage and smart tax decision. 6. You must know that insurance is all about saving tax. To many insurance is an expense and not an investment. If you are buying an insurance just to save tax, then you are seeking a very wrong way of spending your money. You should be aware of the different facilities of investing in different types of insurances. For many, health insurance is just a waste of money and so many people do not invest in it. However, they should know that a health insurance is most logical in an expensive health scenario in today’s world. You should have a life insurance only if you haven dependents- this is the thought of majority of people. Also, before buying an insurance you should also think about the several tax benefits. 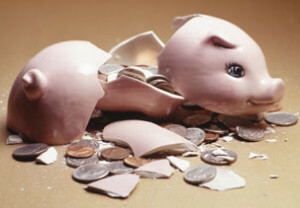 Therefore, before making the common financial mistakes before aware of what you can avoid and how you can avoid.